Although I will personally always be a live plant lover, there are many reasons to go for plastic or silk plants in an aquarium. They can’t accidentally be killed, they can’t be eaten by hungry fish and they definitely don’t have to look bad. So what are the pros and cons of artificial plants? If you’re not sure what to go for, keep reading! Artificial plants cannot die. This one seems obvious, but it’s an important factor for many of people. Artificial plants don’t require special care. No special lighting, no plant food, no trimming, no extra CO2. And if your aquarium lights break, no worries if it takes you a week to get new ones. Whereas live plants will often take a big hit when this happens, artificial ones will look just as good after a week without light. Artificial plants won’t be eaten. 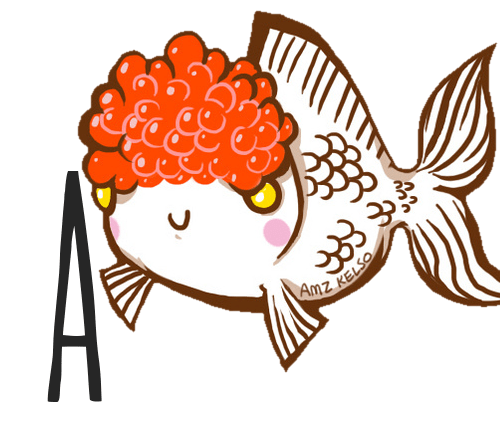 Which can be quite handy when you’re a goldfish owner, for example. With the exception of hardy plants like Java Fern and Anubias, pretty much anything will fall prey to hungry goldfish mouths eventually. If you’re tired of replacing your plants, artificial may be the way to go. Artificial plants do not carry parasites. My article about damselfly larvae gives a good example of what can hitchhike into your aquarium if you’re not careful with live plants. Eek! Artificial plants look very realistic nowadays. It’s not all pink neon and sparkly flowers. Fluval carries some pretty realistic articifial plants, and some aquarium stores do too. If you want the realistic look, live plants are not always necessary. This setup by Tumblr user houdinettes is a good example of what you can do with artificial plants. Artificial plants are very easy to clean. Most normal, live plants have to be cleaned inside the aquarium because they really don’t like being uprooted every time you spot some algae threads. Artificial plants can just be lifted right out, cleaned, and put back where they were. Artificial plants will stay pretty – forever. Live plants are just that – alive – which means they are always changing and growing. In this process, leaves may die off, brown spots may form or the plant may become too big or grow into the wrong shape. If there’s something very wrong with the nutrients or lighting, they may even start to slowly die off. A plant with tattered, brownish leaves does not look too attractive. This won’t happen with high quality artificial plants. Artificial plants come in all colors and shapes. If you’re a neon lover, artificial plants are probably the way to go. And if you love green but want something a bit more unusual, there are also palm trees and garden plants. Artificial plants do not help absorb nitrates. They are empty decorations, which is handy in some cases, but this also means that they don’t help your aquarium stay healthy. A setup with lots of live plants is much easier to keep stable than a setup with only artificial plants. High nitrate levels can eventually damage your fish, so having some live plants as a buffer can be very helpful. Plastic plants can damage your fish. Although this one only applies to plastic plants, it’s something to keep in mind while choosing. Plastic plants are often not suitable to use in tanks with fish that can easily be damaged, like telescope eye goldfish or long-tailed bettas. The last thing you want is a damaged eye or a torn fin, so stick to silk plants with these guys. If you’re unsure, do the pantyhose test; drag the plant across a pantyhose and see if the pantyhose tears. If it does, don’t use the plant in an aquarium with delicate fish. Artificial plants are often more expensive. Because plastic doesn’t grow, you usually have to buy more artificial plants than you would if they were live to fill the tank – live plants would just fill in later. If you already have a healthy, well-planted aquarium setup running, you can also usually use a lot of plants from the first tank to plant a second one. I do this all the time. and it saves a lot of money. Many floating plant multiply so fast you won’t have to buy new ones ever again! Artificial plants are not natural. This may be silly to some, but if you’re a bit obsessed with creating the most natural habitat possible for your fish, this is the main reason to go for live plants instead of plastic or silk ones. Artificial plants may look natural sometimes, but they’re not. You’ll always be able to see they’re not real. Artificial plants don’t inhibit algae growth. Again, plastic and silk plants don’t have any extra ‘functions’ like live ones. Live plants compete for nutrients with algae, and a well-balanced setup with live plants will often get very little algae or even none at all. In our very heavily planted tropical community aquarium, for example, cleaning the glass is almost never necessary. Artificial plants can’t serve as food. Many herbivorous fish species love to nibble on live plants from time to time, which means they’re missing out on nutrients in an aquarium with only artificial ones. I also always see my dwarf shrimp foraging on plants, so a lot of aquarium inhabitants just really appreciate some living greens. If you really want to keep live plants but aren’t sure if you can keep them alive, check out the article on easy aquarium plants. If you want to share your experiences with artificial or live plants or if you’re still not sure which to go for, leave a comment. Happy fishkeeping! 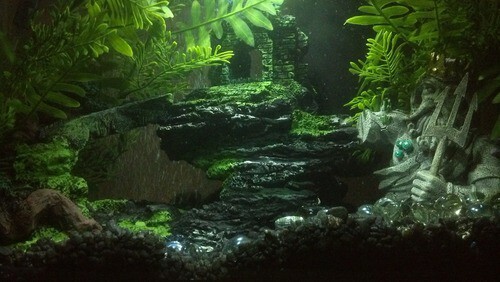 As I began to go to real I needed to use easy plants as my tanks are low light and have medium gravel. So java fern, anubias sp., a liverwort, (Monosolenium tenerum,) pennywort , guppy grass and java moss I tried. All lived but the two real heroes were java fern and guppy grass (Najas guadalupensis,) of which I contained with plastic plants as well as the java moss. So I use both, and I think it’s tasteful. I of course though totally believe in real plant advantages.